“Low Prices, Always Low Prices” that is the tag line of one of the world’s largest retailers. That may be why Wal-Mart is one of the world’s largest retailers. But when it comes to solar photovoltaic panels made in China the price is too low according to the US Government because the Chinese government is subsidizing them. This is the same US government that also subsidizes solar panels to make the prices—-errr—lower! In 2011 the US public bought more than $3.1 billion in solar photovoltaic panels from China. Now a US Department of Commerce ruling finds that China subsidized PV panel production allowing its producers to underprice US manufacturers. The practical result was that China captured about half of the US market share for PV panels—and customers got some REALLY good deals for putting solar panel on a lot of rooftops. The same thing happened previously in Europe where Spain and Germany and other nations adopted feed-in-tariffs (subsidies) designed to favor domestic producers. Later when China learned how to game the rules and suction up those feed-in-tariff subsidies to help their PV panels lower than EU domestic producers—the EU had a FiT (pardon the pun). The EU economic crisis also brought tremendous pressure on EU governments to cut spending and deficits in waves of very unpopular austerity. What did they cut? They cut FiT subsidies arguing they had ballooned so large as customers snapped up cheap solar panel systems that the feed in tariffs were not sustainable. US and EU producers screamed that China was not playing fair and a group of them filed this anti-dumping complaint in the US. So what should we make of this fine mess? On the one hand it is a pleasant surprise that the Obama Administration is staring down Chinese trade practices that are clearly one sided. We have put up with a lot of uneven trading practices over the years and leveling the playing field for US companies in China is a worthy goal. But it is not clear that imposing anti-dumping duties will achieve that policy goal if it is affirmed on review certainly to take place AFTER the election. So it could be that this is just politics acting tough now before the election and wimping out by modifying the final anti-dumping duties afterward when the President has “more flexibility’ if he still is president. Then there is the ‘be careful what you wish for’ lesson for the solar industry. The renewable energy players never met a subsidy they didn’t like—unless it was going to someone else. The business model of the wind, solar and ethanol crowd is built around mandated purchases and subsidies. Does that sound like a sustainable business model to you? 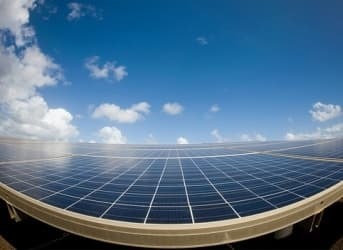 The solar industry is now driving hard to close deals before year end 2012 but uncertain about the regulatory and tax policy future. So far Congress has been unwilling to extend the subsidies—but that is more for partisan political reasons rather than policy clarity. So now retiring Senator Bingaman’s clean energy standard bill offers a life preserver for the renewable energy industry proposing to adopt a national purchase mandate on top of the state renewable portfolio mandate. This has long been at the top of the wish list for the wind lobby because it forces the states without RPS purchase mandate standards to comply with a Federal one. But Bingaman’s CES plan setting a national policy for a set of very different regional power markets is a bad idea. But it is designed to buy time for a transition to a new renewable energy business model—not yet devised—and to redefine subsidies by calling them clean energy standard mandates. This is a great deal for solar since PV panels can be put on every rooftop. It is not much help to wind since it depends upon transmission to bring wind energy from remote locations to load centers. Bingaman’s bill will still not get wind energy from West Texas or Iowa to New Mexico his home state or the Southeast US which generally have no RPS standards any easier. But it will require utilities in to step up purchases of PV panels for rooftops. And through 2016 the US government will continue to subsidize those solar purchases with production tax credits. The only thing different is the price will now include 31% import duties on Chinese PV panels. The truth is the renewable energy industry does not need more policy support. It needs to focus on modifying its business model to profitably compete in a competitive market without subsidies. It needs to use the time until the current state RPS goals are satisfied to reduce the balance of system costs, streamline permitting processes, advocate for dynamic pricing and position itself to beat China by offering a better product and a better deal. I know that seems like asking a lot of the solar industry. But let’s face it we need the solar industry to succeed not by selling us the cheapest, least efficient commodity PV panels from China but by developing the most efficient, highest value added solar technology that can compete at grid parity prices. The latter is worth policy and price supports for a while longer—the former is not. The better policy solution for curbing China from dumping underpriced PV panels on America is to end all subsidies. When China gets to eat its own policy costs to give Americans low prices, always low prices without the ability to get Uncle Sam to reimburse it with taxpayer money it will moderate its behavior. All governments have protected there own company's / country's from time to time. Apart from the fact China will own the entire production of nearly everything within the next couple of generations then watch the prices climb. But market forces must prevail or do they?